Today is World Down Syndrome Day. A day to build awareness and acceptance for diversity. A society cares for and accepts all people. Down Syndrome is a human condition caused by an extra chromosone 21. 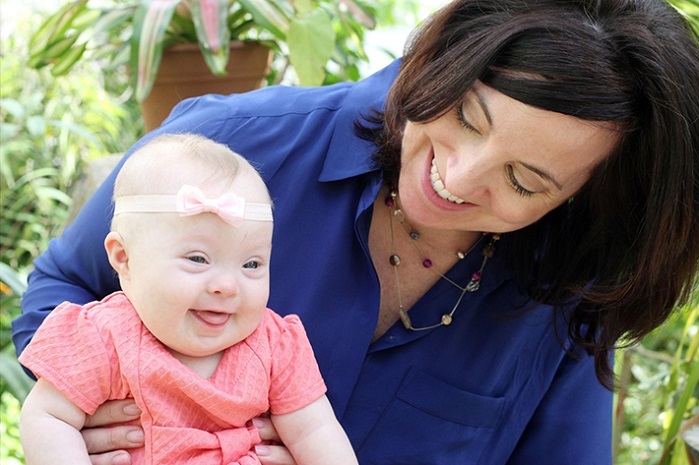 The prevalance of Down Syndrome has dropped astronomically with the advent of pre-natal testing combined with eugenic attitudes and fear associated with the differences exhibited by a person with Down Syndrome. The eugenic attitudes and fear towards Down Syndrome persons is so pervasive that even the Wikipedia page on Down Syndrome have negative, offensive and eugenic information. I want to live in a truly caring and accepting culture, one that doesn’t judge human persons but rather accepts them for who they are and recognizes differences as part of a mosaic. I challenge a culture that judges certain conditions as not worth living. People with Down Syndrome offer happiness and acceptance. Eugenics seeks to do the opposite of what I seek in a caring society. Eugenics creates inequality by determining which human traits are wanted and then eliminates those traits by denying people with those traits from being born, and if are born, eugenics seeks to deny them the right of having a family. This philosophy leads to discrimination and death. Yesterday, Connecticut Magazine published an article titled: The Ugly Truth Behind A Connecticut Eugenics Survey That Reads Like Nazi Propaganda. This article was sent to me by Stephen Mendolsohn, a disability leader and a friend. The eugenics movement, which would ultimately inspire Adolf Hitler, was born in the second half of the 1800s. Inspired by Charles Darwin’s work, his half-cousin, Francis Galton, theorized that successful people could strengthen the human race by breeding with other successful people. Galton coined the term “eugenics” in 1883 from the Greek word for “well-born.” His work inspired widespread eugenics research and found many receptive ears in the U.S.
…Research conducted by Laughlin and Davenport was used to justify the Immigration Act of 1924, which limited dramatically the number of immigrants allowed to enter the country from Southern and Eastern Europe. The term “moron” entered the lexicon in the early 1900s due to research from eugenist Henry H. Goddard. The practice of forced sterilization of the “unfit” in Connecticut and across the country was upheld by the U.S. Supreme Court in the 1927 Buck v. Bell case. “It is better for all the world if, instead of waiting to execute degenerate offspring for crime or to let them starve for their imbecility, society can prevent those who are manifestly unfit from continuing their kind. … Three generations of imbeciles are enough,” wrote Justice Oliver Wendell Holmes Jr. in his infamous opinion in the case. ..In 1935, an act of the state’s legislature called for the formation of a commission to, in the words of its title, Study the Laws and Facilities of Connecticut Pertaining to the Prevention, Treatment and Care of Mental Defects and Disease and Allied Problems. Gov. Cross signed the act into law, and the commission was established in 1936 and appointed Laughlin, from the Eugenics Record Office, to commence the study. Laughlin set up shop in the State Office Building in Hartford, and with some assistants began collecting data on state residents. In case you think that eugenics is a part of the past, I ask you, why has Down Syndrome become a rare condition? Is is because medical science has found a “cure” for Trisomy 21? No its because society has been conditioned to fear Down Syndrome and it has become the norm to eliminate them. Eugenics isn’t only alive and well, its a dominate cultural belief that needs to be eradicated. A caring society cares for and accepts everyone in the human family. A caring society doesn’t kill its members.